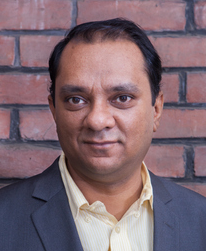 I am an Associate Professor and Head of the Computer Science and Engineering (CSE)Department of United International University (UIU), Bangladesh. Before joining UIU, I worked as an Assistant Professor at North South University, Bangladesh. I also worked as an FQRNT Postdoctoral Fellow at the Énergie, Matériaux et Télécommunications (EMT) center of Institut national de la recherche scientifique (INRS), Montréal where my advisor was Dr. Jean-Charles Grégoire. I completed my PhD in June 2008 from Computer Science and Software Engineering Department of Concordia University under the supervision of J. William Atwood. Room # 101, House # 80, Road # 8/A Dhanmondi, Dhaka-1209. Salekul Islam, "Security Property Validation of Sensor Network Encryption Protocol (SNEP)", Computers, Vol. 4, pp. 215-233, 2015. Salekul Islam and Mohammad Amanul Islam, "SysProp: A Web-based Data Backup, Synchronization and System Administration", International Journal of Computer Network and Information Security (IJCNIS), vol.6, no.9, pp.1-11, 2014. Salekul Islam, "Security Analysis of LMAP using AVISPA", International Journal of Security and Networks (IJSN), Vol. 9, No. 1, pp. 30-39, 2014. Salekul Islam and Jean-Charles Grégoire, “Policy and Charging Control for Virtual IMS Client”, Springer Journal of Network and Systems Management, 2013. Salekul Islam and Jean-Charles Grégoire, "Converged access of IMS and web services: A virtual client model ", IEEE Network Magazine, Vol. 27, No. 1, 2012, pp. 37-44. Salekul Islam and Jean-Charles Grégoire, "Giving Users an Edge: A Flexible Cloud Model and its Application for Multimedia", Future Generation Computer Systems, Vol. 28, No. 6, 2012, pp. 823-832. Salekul Islam and Jean-Charles Grégoire, "Multi-domain authentication for IMS services", Computer Networks, Vol. 55, No. 12, 2011, pp. 2689-2704. Salekul Islam and Jean-Charles Grégoire, "Network Edge Intelligence for the Emerging Next-Generation Internet". Future Internet, Vol. 2, No. 4, 2010, pp. 603-623. Salekul Islam and J. William Atwood, "Sender Access and Data Distribution Control for Inter-domain Multicast Groups", Computer Networks, Vol. 54, No. 10, 2010, pp. 1646-1671. Salekul Islam and J. William Atwood, "Multicast Receiver Access Control by IGMP-AC", Computer Networks, Vol. 53, No. 7, 2009, pp. 989-1013. Salekul Islam and Mohammad Abu Zaid, "Probabilistic Analysis and Verification of the ASW Protocol using PRISM", International Journal of Network Security, Vol. 7, No. 3, 2008, pp. 388-396 (an extended version of the Southeastcon 2008 paper). William Atwood, Salekul Islam and Maziar Siami, "Authentication and Confidentiality in Protcol Independent Multicast Sparse Mode (PIM-SM) Link-Local Messages", Internet Engineering Task Force, Request for Comments 5796, 2010 March, 21 pages, URL=http://tools.ietf.org/rfc/rfc5796. Salekul Islam and Jean-Charles Grégoire, "Beyond CDN: Content Processing at the Edge of the Cloud", in Advanced Content Delivery and Streaming in the Cloud. Mukaddim Pathan, Ramesh K. Sitaraman and Dom Robinson (eds. ), John Wiley & Sons, Inc., Oct. 2014, pp. 243-258. Jean-Charles Grégoire and Salekul Islam, "Virtual Terminals for IMS", in Future Internet Services and Service Architectures. A. Prasad, J. Buford and V. Gurbani (eds. ), River Publishers, Mar. 2011, pp. 295-314. Salekul Islam and J. William Atwood, "Multicast Security", in Horizons in Computer Science Research Vol. 2. Thomas S. Clay (ed. ), Nova Publishers. 2011, pp. 127-149. Salekul Islam, "Participant Access Control in IP Multicasting", VDM Verlag, Nov. 2009. Syed Arefinul Haque, Salekul Islam and Jean-Charles Grégoire, Short Paper: “Virtual P2P Client: Accessing P2P Applications Using Virtual Terminals”, in the Proc. of Innovations in Services, Networks and Clouds (ICIN), pp. 142-144, France 2015. Salekul Islam and ASM Mahfuz, "Adoption of E-Banking in Bangladesh: Evolution, Status and Prospects", in Proceedings of the 16th ICCIT, Khulna Bangladesh, 2013. Salekul Islam and J. William Atwood, "Multicast Receiver Access Control Using PANA", in Proceedings of the 1st Taibah University International Conference on Computing and Information Technology (ICCIT), 2012. Salekul Islam and Jean-Charles Grégoire, "Active ISP Involvement in Content-Centric Future Internet", in Proceedings of the 4th IFIP International Conference on New Technologies, Mobility and Security (NTMS), Paris, France, 2011. Salekul Islam and Jean-Charles Grégoire, "Convergence of IMS and Web Services: A Review and A Novel Thin Client Based Architecture", in Proceedings of the 8th IEEE CNSR, Montreal, Canada, May 2010. Jean-Charles Grégoire and Salekul Islam, "An SSO-Enabled Architecture for Beyond the IMS Domain Services", in Proceedings of the 6th NGNM in MANWEEK, Italy, 2009. Salekul Islam and Jean-Charles Grégoire, "User-centric Service Provisioning for IMS", in Proceedings of the 6th International Conference on Mobile Technology, Application & Systems, ACM-Mobility, France, 2009. Salekul Islam and J. William Atwood, "Receiver Access Control and Secured Handoff in Mobile Multicast using IGMP-AC", in Proceedings of the 33rd IEEE Conference on Local Computer Networks, 2008, pp. 411-418. Salekul Islam and Mohammad Abu Zaid, "Probabilistic Analysis of the ASW Protocol using PRISM", in Proceedings of the IEEE Southeastcon, Huntsville, AL, 2008 April 3-6, pp. 159-164. Salekul Islam and J. William Atwood, "Sender Access Control in IP Multicast", in the Proceedings of 32nd IEEE Conference on Local Computer Networks, Dublin, Ireland, 2007 October 15-18, pp. 79-86. Salekul Islam and J. William Atwood, "A Policy Framework for Multicast Group Control", in the Proceedings of IEEE Consumer Communications and Networking Conference--Workshop on Peer-to-Peer Multicasting, Las Vegas, NV, 2007 January 11, pp. 1103-1107. Salekul Islam and J. William Atwood, "The Internet Group Management Protocol with Access Control (IGMP-AC)", in the Proceedings of 31st IEEE Conference on Local Computer Networks, Tampa, Florida, U.S.A., 2006 November 14-16, pp. 475-482. Salekul Islam and J. William Atwood, "A Framework to Add AAA Functionalities in IP Multicast'', in the Proceedings of Advanced International Conference on Telecommunications (AICT'06), Guadeloupe, French Caribbean, 2006 February 19-22, ISBN 0-7695-2522-9, 6 single-spaced pages. Salekul Islam, J. William Atwood, "Security Issues in PIM-SM Link-Local Messages", in the Proceedings of 29th IEEE Conference on Local Computer Networks, Tampa, Florida, U.S.A., 2004 November 16-18. J. William Atwood and Salekul Islam, "Multicast User Authentication", IETF Interent Draft, draft-atwood-mcast-user-auth-01, 2010. J. William Atwood, Salekul Islam and Bing Li “Requirements for IP Multicast Receiver Access Control”, IETF Internet Draft, draft-atwood-mboned-mrac-req-01, 2014. J. William Atwood, Bing Li and Salekul Islam “Architecture for IP Multicast Receiver Access Control”, IETF Internet Draft, draft-atwood-mboned-mrac-arch-01, 2014. J. William Atwood, Bing Li and Salekul Islam “Receiver Access Control using PANA in IP Multicast”, IETF Internet Draft, draft-atwood-mboned-mrac-pana-00, 2014.